The Formula development team spent years of collaborated research and design with industry leading doctors, scientists, and physicists from around the world to produce the innovative Adaptive Impact System (AIS). 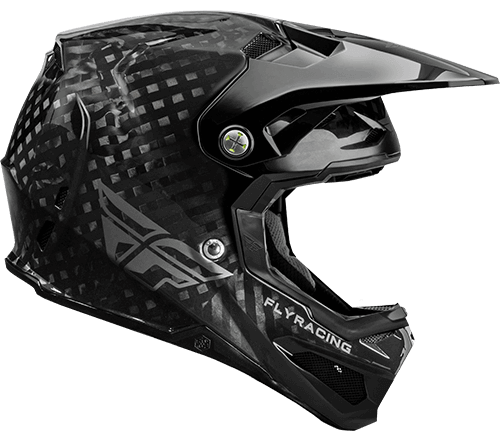 FLY Racing is proud to present the all new Formula helmet, one of the most advanced motocross helmets ever created. 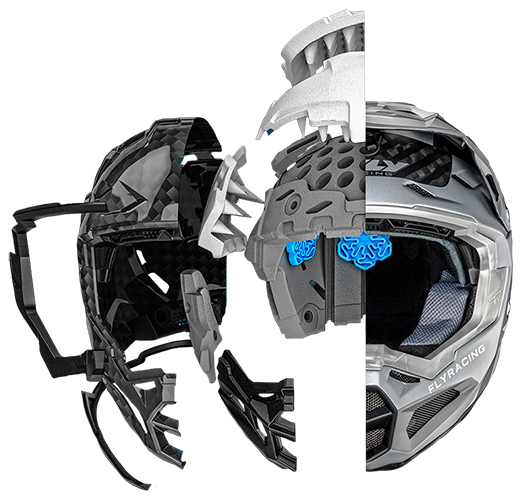 This technologically advanced helmet will redefine helmet performance and safety expectations. This collection of technologies is a high-performance ecosystem of structural design and energy mitigating materials. 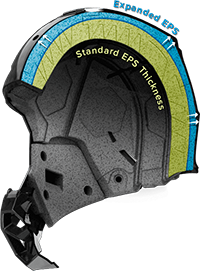 Each layer of the Formula AIS was carefully fine-tuned to achieve the goal to provide superior head protection from the widest possible range of potential real-world impacts. Impact Energy Cells maximize absorption of low speed linear and rotational impacts. Their unique shape and maze-like structure allow them to compress and shear. This slight movement maximizes absorption of low speed linear and rotational impacts reducing overall brain stress. These Energy Cells are made of RHEON, an “active” strain-rate sensitive material that efficiently absorbs and dissipates energy as it deforms. Invented by Dr. Dan Plant, RHEON’s adaptive chemistry reacts instinctively to control energy and change its behavior depending on the severity or direction of an impact. 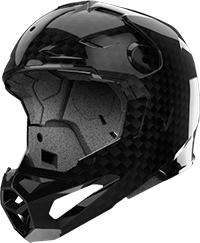 Like a crumple zone, Conehead technology absorbs and dissipates impact forces more effectively than traditional EPS helmet liners. Created by physicist Don Morgan, Conehead technology produces more progressive energy absorption through a broader range of impact scenarios. The Formula has six critical zones of Conehead EPS. 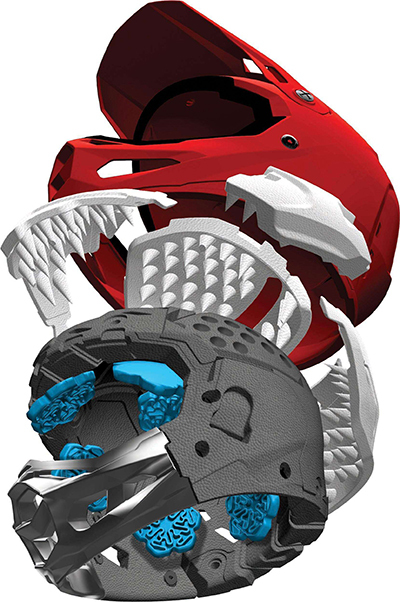 Each zone has a uniquely fine-tuned combination of EPS densities to more progressive response to impacts specific to that region of the helmet. The Formula’s first line of defense is an extremely strong and lightweight 12K carbon fiber shell. 12K carbon fiber refers to 12,000 carbon filaments per band. Carbon fiber is strongest when it is flat. Wider carbon fiber bands woven together produce a flatter result with less dips and rises inherent in a woven material. The reduction of these dips and rises creates less areas for resin to pool. Less resin equals less weight. The result is an extremely lightweight shell with superior penetration resistance to common 3K carbon fiber. 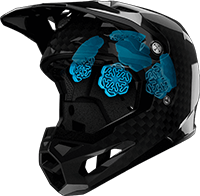 Opt for the absolute in total head protection with the Fly Racing Formula Helmet – an Adaptive Impact System helmet whose high-performance ecosystem of structural designs and energy mitigating materials have been fine-tuned to more efficiently absorb impacts. Please contact your local Gamma Powersports Dealer to order your Fly Racing Formula helmet. To Find a Gamma Dealer in your area, use our dealer locator below. Pre-order your Fly Formula Carbon helmet today. Formula helmets will be available for shipment early this fall. Order yours today before quantities run out.